Sitting here on 6th January as the schools go back and our New Year’s guests have all departed, I find myself reflecting on the past year and our plans and aspirations for 2014. Actually it scares me to look at all we have taken on, had I known this at the start of the year I may have laughed in my own face and run a mile. In reality we have embraced everything, the good and the difficult and come out smiling and looking forward with hope and optimism. Farmer Nick works nonstop from dawn to dusk on our 30 acres, not to mention the daily tractor rides for all our guests. It has to be said he adores what he does, imagining him eleven years ago in a suit inside an office just feels so alien now; thank goodness we both changed all that for beautiful Coombe Mill. This year has seen our most successful lambing thanks to vitamin supplements throughout the winter and a dry spring. Our first lambs were born in late February and the little girl, who is rather special, is still with us today. The Pigs have been re-housed with Nick building their new home all from scratch with some help from the teens just in time for Sally to give birth to ten healthy piglets. Creating a huge bonfire from the old shelter remains became an educational family afternoon, I love the way farm and family life integrate for us. Our chick breeding with the Polish Bantams delighted the guests all through the summer season while the Brown Nicks delivered us eggs to collect throughout the year. Our Stunning new Stag came in a teenager, settled in well and was looking every bit the handsome man come the Rut in October; together with our pretty summer fawns, fathered by our old stag, we have a healthy herd for 2014. We even made our own reindeer in December. For next year we have plans all in place for a full season of baby animals and hope you might be here to share in some of these special farm moments. However as we are dependent on nature, there are no promises, only plans! Our Farmer Nick does like the big boys’ toys and his mate Ben the digger man came in to dredge the carp lake and flatten a new path wide enough for the tractor. Now our morning tractor rides take the scenic tour round the lake. All was finished just in time for our October half term guests who enjoyed a rather wet but fun week here on the farm. No one enjoys a challenge more than Nick, like this old cart he bought at auction and restored. Now I am coaxing him to try and build a wooden horse to head it up much along the lines of our Christmas reindeer, I’m sure he could do it! The introduction of the Coombe Mill Railway has been a huge hit in 2014. Every afternoon the children delight in boarding the train with Guy our resident driver. It began with a few hiccups, weeks of track tinkering and problems with derailing. However I am delighted to say that slowly but surely as the year progressed we have ironed out the technical glitches and have a truly unique holiday offering. I took advantage of the engine shed and tunnel to make themed events for our guests. Halloween saw the train and tunnel turn into a ghost train while at Christmas it was transformed into our very own Santa Express complete with Father Christmas and his elves. This year, more than ever before, we enjoyed some fun seasonal events with our guests. Recycling led Raft Races, Easter egg treasure hunts for all ages, natural raft building in the Summer, a full day of Halloween fun, our annual Bonfire night with drinks and a BBQ for all, Christmas Eve fun from 4pm till late and Fireworks at the BBQ hut on New Year’s Eve. The feedback from these social occasions has been so positive we plan to take them forward into 2014 with the help and support again of all who stay. We took off on building Tree Roots cottage in the autumn confident in bookings coming in for 2014. This is going to be our largest property yet to sleep ten plus cots with so many luxury features. At the moment it stands with windows still to go in and plastering underway, not a pretty sight at present but I’m looking forward to sharing the finishing touches here shortly as it is bookable from May 2014. Waving goodbye to Camel, our largest riverside lodge, disappointed regular visitors, but it was reaching the end of its rentable life and has been turned it into a new reception and staff room. This is huge improvement on the old location and a much more welcoming start to your holiday here with lovely new signs from Giraffe Banners to guide you and a wonderful new range of Rockfish Wellies inside our borrow room. Rockfish are a local Cornish business who I am delighted to support. Later this year, bookings permitting, we hope to start to incorporate the old reception into Two Chimneys Cottage as they are two parts of the same building. This will make a spacious 3 bedroom property for five people. It will boast a modern layout and a good size playroom; a feature of all our conversions and new builds. My thanks to my Brother, who not only played Santa for us at Christmas, but applied his business knowledge as owner of Upstairs Downstairs in Chester to draft up some fantastic plans for the new Two Chimneys for us. If you see a hike in the price list for 2015 these plans might help explain why; conversely if you are looking for great value in 2014 for a holiday for four then Two Chimneys would be a wise choice as we have lowered prices ahead of the refurbishment. We were rewarded in the holiday sector for the standard and quality of our holidays. 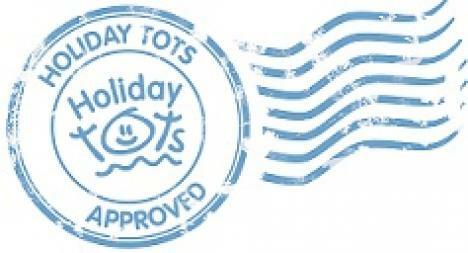 Thank you to everyone who has written reviews for us on Mumsnet, we are proud to be featured as best in class for 2013 and to all who voted us as a double Gold Winter in the holiday sector with Loved By parents. Winning the Jacqueline Gold Women In Business award and being officially approved as Family Friendly really topped an amazing year. It isn’t just me though, I have to say a huge thank you for all the active tweeters, facebookers and bloggers who have stayed in 2013, booked for 2014 or just like what we offer and support me online. If you missed any of the wonderful blog reviews on Coombe Mill I have a Pinterest board with links to them. Thanks to all you wonderful people awareness of our farm holidays is spreading across the net in the best, most reliable and honest way possible. We may not be large or have a worthwhile marketing budget, but I feel the support I have is keeping Coombe Mill up there with the “big boys” in the holiday business. Thank you so very much, you all know who you are, you can see your impact in this post and through your social media you are making Coombe Mill Rock. And to my secret love: I really enjoy my late nights recalling all that we do here on the blog. I now permanently have my camera strapped to me and feel my blog content and writing style has matured so much in my three years of blogging. The only thing to suffer is my sleep as I work into the early hours! I am so encouraged by the amazing comments that you write here, the success of my Country Kids linky which regularly topped a hundred link ups in the summer months last year and the warm support I receive from everyone participating. 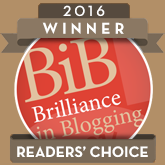 To see my blogging endeavours rewarded at the wonderful MADS and BIBS national blogging events this year was the best feeling ever; my heartfelt thanks to all who voted to make this happen. Towards the end of the year I was proud to become an Activity Toys Direct Ambassador and continue to be a Forestry Commission blogger. I really hope I can maintain my blogging momentum into 2014 and inspire all who follow me with outdoor fun, our farm holiday developments and family antics. We survived the year with no major accidents, this when you have free range children on a farm and a husband engaging in machinery and ladders that turn my tummy is my biggest achievement of all. A year older, wiser and full of the love of life, I am so proud of them all. Academically I have those who excel and those who struggle, I have learned that they are all individuals and effort is what counts, to encourage and support but not to push to obtain the best from them. Without the children’s help on the farm Nick and I would really struggle and between the fun and frolics that often makes my Country Kids posts they really do pull their weight, for pocket money of course! I am so excited about all we have achieved and everything in the pipeline for 2014. I hope we will see you here at some point during the year to enjoy the fruits of our labour. Please dig those diaries out and check out our price and availability page which now runs into 2015.